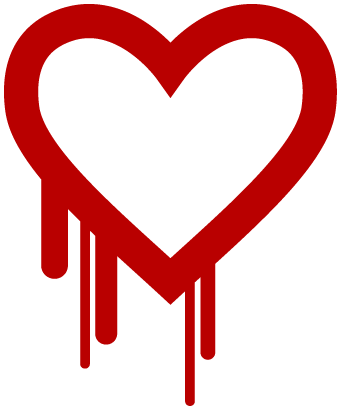 This week saw the internet, Twitterverse and my inbox explode as the full scale of the Heartbleed flaw come to light. It was on Tuesday morning when I first became aware of the issue and since then I have heard a mixed bag of thoughts on it, and had the chance to read varying stories that offer a combination of FUD, decent analysis and advice on changing passwords prematurely. In case you took the week off, managed to avoid all the news and have been completely unaware of the story (it can be done), then Heartbleed, also known as the OpenSSL flaw or to be completely technical, CVE-2014-0160, affects a website’s OpenSSL library and the major threat is that many websites have deployed this in their login process. This means that if the software is vulnerable, so is your login and therefore if an attacker has intercepted the flaw, they will have captured your login details. Advice began to flow in, advising users to change their passwords. However the stance we took on IT Security Guru was that this was premature if the flaw exists, as the new password users have securely crafted and remembered could be intercepted too. As for who is affected, the company names roll off like a who’s who in technology: Cisco, Juniper, BlackBerry, Apple, Google and Facebook. There is a full list at mashable. The story has achieved huge amounts of press attention, not just from the technical press, but from the nationals around the world. Perhaps one of the most interesting was in the Sydney Morning Herald, who managed to speak to Robin Seggelmann, who was outed as the man whose coding mistake, left servers vulnerable. So we know about how many are impacted, and there are reports that the flaw is being impacted, with national CERTs issuing advice on it, while rumours have also circulated that phishing messages regarding it have also been detected. Not really surprising while legitimate emails appear encouraging users to change their passwords. Toyin Adelakun from Sestus advises users is to if possible, not login to any online accounts if you are not sure if the service provider is still vulnerable. It doesn’t help to change passwords either, because if the service provider is still vulnerable, your credentials could still be leaked. (If you feel you have to login before receiving the all-clear, the only logical risk-containment strategy would be to change passwords frequently — perhaps after each use!) GoDaddy and BitCoin are supposedly still in the process of patching. Facebook, DropBox, Gmail and Yahoo claim to have fixed the vulnerability. Apple, Amazon, Ebay, Hotmail and LinkedIn claim to have not had the vulnerability in the first place. Codenomicon who discovered the flaw, reading the excellent analysis by Australian researcher Troy Hunt and changing your password, once you have figured out that the website has been fixed. If you are managing servers, take the time to apply fixes and get yourself secure again. Of course if you really want to make a difference, why not make a donation to the OpenSSL foundation, and make sure things like this do not get repeated.